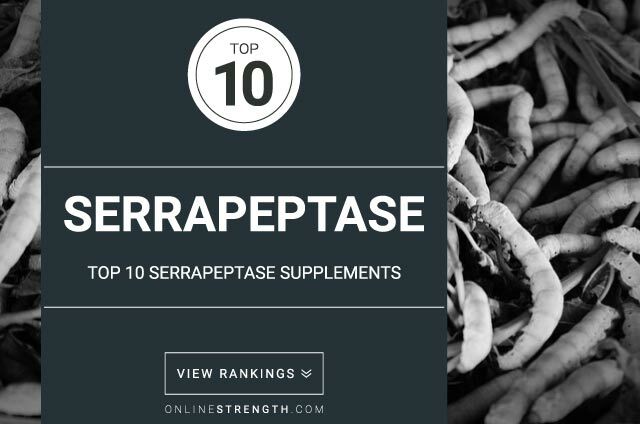 Serrapeptase is a proteolytic (protein destroying) enzyme produced by bacteria from the genus Serratia within the silkworm digestive system. For silkworms, serrapeptase dissolves their cocoon at the completion of metamorphosis; for humans, this supplement has potential antibacterial and anti-inflammatory properties. Serrapeptase has been found to liquefy mucus and reduce bacterial biofilms. This means that serrapeptase can inhibit bacteria from sticking to one another, and therefore may be able to reduce phlegm buildup, nasal discharge, and pulmonary symptoms of cystic fibrosis. Additionally, this may aid the immune system in its natural ability to fight off toxic bacteria, as well as enhance the effectiveness of antibiotics. Research also suggests that serrapeptase is an effective anti-inflammatory supplement and, to a lesser degree, an analgesic. Through its proteolytic activity, serrapeptase speeds the process of healing after injury or surgery. It also blocks certain proteins associated with initiating a pain response. A serrapeptase supplement must contain an enteric-coated capsule in order to be effective. This protects the supplement from degradation in the stomach before it can reach the intestines for absorption. Due to potential fibrolytic activity, caution should be taken when pairing serrapeptase with moderately potent blood thinners. Serrapeptase should be taken on an empty stomach, meaning at least thirty minutes before a meal or two hours after a meal.